Acru Health is a Family Based Wellness Chiropractic Office located on 5th Ave in Bankers Hill. 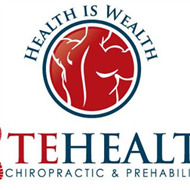 We specialize in athletes, families, injuries, and total life wellness. Utilizing a low force adjusting method and cutting edge diagnostic equipment we are about to pinpoint the cause of almost any health challenge and create a plan to help our practice members achieve the results they are looking for. Unite under one roof an eclectic collective of effective and disruptive disciplines dedicated to restoring the balance of one's whole being. To passionately and purposefully push against the status quo in search of optimal health, personal euphoria, and consciousness. Our curated space offers a wide array of whole-being medical services that cater to those looking to optimize their health and address the root cause of disease. ALCHEME offers cutting edge integrative medical appointments with our expert physicians, treating a wide variety of conditions. At ALCHEME, we combine the best of both conventional and natural medicines, always working to uncover the root cause of the problem, not simply suppressing symptoms. Unlike conventional Western medicine which focuses on disease, integrative medicine focuses on all the aspects of a patient's life—physical, emotional, mental, spiritual and environmental—that contribute to a patient's health and well-being. Our appointments are significantly longer than average so we really get to know our patients, including their preferences and values. We then combine physical exam with advanced laboratory testing, including genetic testing, to devise a treatment plan that addresses your individual blueprint. Outer ALCHEME is a carefully selected set of services and protocols that are designed to work in tandem to produce the best results for your specific aesthetic concerns. We offer the best non-surgical beauty solutions available, as well as a customized combination of the most cutting-edge technical advances in anti-aging, skincare and beauty today. Our range of medical spa services includes IPL, skin resurfacing, neurotoxins and fillers, skin tightening, acne and cellulite reduction, laser hair removal, and more. In a welcoming and peaceful setting, we utilized the most modern modalities to promote self-healing and strive to create the next generation of personalized wellness programs. We offer infrared saunas, PEMF technology, and personalized wellness programs. Our customized wellness programs are based on an individuals genetic data we collect through a simple saliva test. Our testing focuses on the genetic data that is most actionable for providing guidance on: Nutrition, Supplementation, Sleep, Environment health, Athletic performance, and Hormones. Chiltonic is San Diego County’s premiere Cryotherapy Health Spa offering a fast, safe and non-invasive cold therapy treatment that stimulates the body’s natural healing process. Professional athletes, weekend warriors and individuals alike use the treatment regularly to improve endurance, speed recovery, reduce pain and improve overall well-being. Appointments available at our Encinitas and Hillcrest locations. To create The Ultimate Health Care Experience: gentle, specific and effective chiropractic care in a open, fun and friendly environment. We believe that chiropractic is a method of caring for the whole body in its entirety. We believe in a holistic and integrated approach to health. Chiropractic is truly for everyone, at any stage or length of “life experience”. We implement a combination of gentle and non-force chiropractic techniques (Network, Bio-geometric Integration, Activator and Diversified) with massage and aromatherapy. We have found that these techniques are synergistic and “clinically” have tremendous success in correcting subluxation and creating the ultimate Health Care Experience. CryoMIST is the first and only Cryotherapy Wellness treatment center in Solana Beach. We provide Cryotherapy and recovery services including Leg Compression Therapy. Treat yourself to a 3 minute FREEZE into subzero temperatures for muscle recovery (excellent for athletes), decrease inflammation, pain management (tendonitis, arthritis, and ever conditions such as MS). It also promotes improved metabolism and weight loss, improve skin tone and reduces signs of aging. We strive to help you improve your overall wellness, and live life to the fullest. Promo code "FITPERX" for 20% off our service. We also offer an additional 20% for 2 or more people receiving the service. 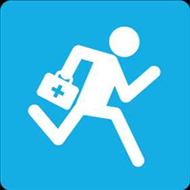 CureDash is an app that specializes in mobile IV Therapy. We offer treatments in the comfort of our clients home, office, or hotel. Our clients can choose from different IV solutions: hangover/detox, immunity boost, muscle recovery, and a vitamin boost. 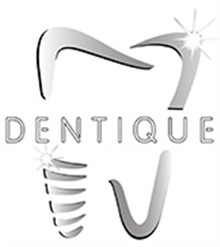 Dentique is San Diego's first TRUE dental spa. Dr. Nikou Rahbar has created a new standard of care where her patients can experience the latest advancements in high-quality dental care in our state-of-the-art facility with all of the luxurious amenities of a spa. While Dr. Rahbar specializes in cosmetic dentistry (including porcelain veneers, crowns, full mouth reconstruction) Dentique offers a full suite of dental services (including general, cosmetic, sedation, orthodontic dentistry) in a five-star spa experience in a relaxing ambiance. Dentique is for those who demand the highest quality of care in every aspect of their lives. Don't put off your smile any longer, skyrocket your confidence today! Your modern neighborhood dentist here in GASLAMP! We are open late hours and Saturdays! No insurance?! No problem, we offer and $59 exam, xrays and a regular cleaning. You can expect honesty that comes with a gentle and thorough exam. Dr. Al-khouri and staff treat our patients as if they are family. Our goal for every patient is to leave our office with a happier, healthier smile! ($59 for new patients only. Cannot be combined with any other offers. Limit 1 per patient. Subject to insurance restrictions; cannot be applied to insurance co-payments. 20% Off discount off all services and programs. Please use code FIXPERX20. Dr. Brian Alman is a local wellness expert who specializes in feeling Good Made Simple. Over 30 years working with thousands of patients, Dr. Brian Alman has translated his intuitive and clinical techniques for healing into transformational programs with results that last. Whether Dr. Alman is working with individual people or businesses, his approach begins by revealing the root of the wellness issue or performance challenge. World-renowned self-help author Dr. Brian Alman offers his signature techniques for self-healing in a line of books, CD programs, and DVD programs. These programs were developed to help you manage your stress and anxiety through effective self-help techniques - all in your own home on your own time. Dr. Alman uses positive psychology and clinically proven techniques, all in a safe and peaceful setting. His intuitive approach draws forth the true inner sage present in each and every person, so that you become your own guide to optimal living. You are likely to feel a huge weight lifted, more hopeful and excited to live again. No life-challenge or problem is too great. You will experience results that last a lifetime. We know your time is valuable. That’s why we’ve invested in CEREC digital technology that allows for a faster experience when you need crowns or large fillings. CEREC is a revolutionary way to restore damaged teeth in a single visit. From simple fillings to full crowns to veneers, CEREC delivers the results you need , usually within a SINGLE APPOINTMENT. Making your teeth beautiful, and stronger than before. In the course of ONE VISIT, we can diagnose and prepare your damaged tooth, create an optical impression of the tooth, and use CEREC to design and mill a precision restoration, which is then permanently bonded to your tooth. NO METAL, NO MESS, NO DISCOMFORT, NO WAIT!!! We offer a carefully selected group of dental services, designed to serve you throughout your life. These include, but are not limited to :Cosmetic Services, Cerec All Porcelain Crowns,Onlays, Inlays, Bridges, Removable Partial, Dentures,Tooth colored fillings. Laser Gum Therapy. Periodontal Gum therapy, Routine Cleanings. For an appointment E-mail us at daviddonnellydds@att.net or call 619-231-0822. If you call and get our Machine please leave a message and we will call you back .Most likely we are making an All Porcelain Crown in one visit! 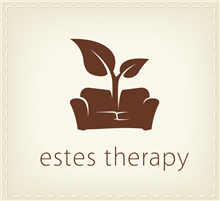 Initial consultation and treatment $40 (regularly $75). Subsequent 4 treatments for $100 ($25 each). 1 hour Massage for $40 unlimited. My patients range in age from 2 months to 93 years old – Chiropractic has helped these two patients and everyone in between! They include weekend warriors, pregnant women, military personnel, Olympic hopefuls, high school, college, and professional athletes, grandparents, kids, and just normal hard working individuals who have everyday stresses. If you are feeling less than 100%, come into ELITE Health and see Dr. Dhokal and his team of medical professionals. $20 off of first delivery and $10 off each order thereafter. Sign up here: hi.eaze.com/fitperx to get the discount. Eaze is the leading on-demand cbd and cannabis delivery service in San Diego & beyond. They have partnered with Urbn Leaf, a fully licensed San Diego dispensary to offer a wide range of lab tested products. Products available on Eaze include: non-psychoactive CBD creams and lotions, infused tinctures, patches and Epsom salts, which are perfect for pain relief, muscle recovery, inflammation, or aches. All products meet the highest quality standards and come from licensed California brands. Eaze even has a concierge team available to answer any questions you may have. "Moving You from Pain to Possibility"
Exceptional and individualized physical therapy for people with complex and chronic injuries or pain who need help returning to the things they love most in life. Treatment evolves with client needs, consists of sophisticated hands-on techniques and specific movement retraining and creates healing that elevates standard therapy from science to an art. Fix body group is a collaborative chiropractic and physical therapy office. We provide structural correction through chiropractic and ART (active release technique) is enhanced and strengthened through corrective exercise. $30 discount off a $79 float ($49 for 60 minute float). Floating has been called “the closest thing to drifting in outer space that you can experience on the planet”. Float North County just opened a float center with four (4) float tanks on Lomas Santa Fe Drive in Solana Beach. The tanks contain 10 inches of water so saturated with Epsom salts that they are more buoyant than the Dead Sea. GoCryo is a fully mobile Whole Body Cryotherapy (WBC) company. WBC is a 3 minute cold-based therapy that stimulates and enhances the body's natural healing abilities. These recovery benefits can help you achieve your fitness goals by promoting tissue healing, decreasing soreness, and preventing injury. GoCryo users can also expect increased energy and alertness, reduced inflammation, reduced pain from chronic or acute conditions, improved skin health, and improved sleep quality. GoCryo’s mission is to offer these health, wellness, and recovery benefits in a convenient way that fits in with the challenges and time constraints of your daily life. $100 FIT special for exam, x-rays (including 3D scan), cleaning, and free Invisalign consultation; Free at-home whitening treatment for qualifying patients with acceptance of treatment. We are a family-run comprehensive dental practice conveniently located in the UTC area. We strive to develop long-lasting, trusting relationships with all of our patients. At our practice, patients are like family. Many have been with us for decades. We realize that each patient is an individual with unique needs, so we don't provide cookie-cutter solutions. Instead, we develop a customized treatment plan that meets all your needs. Our satisfaction comes from helping you maintain excellent oral health and a beautiful smile. Our practice is devoted to comprehensive and preventive patient care, including restorative and cosmetic procedures. We are a full service general and cosmetic dental office, assisting patients with complex issues such as chipped or damaged teeth, cavities, tooth whitening, crowns, veneers, implants, bridges, dentures and orthodontics. We are a premier Invisalign office and utilize state-of-the-art technology to get our patients smiling! We have been helping San Diego families achieve beautiful smiles for over thirty years and look forward to meeting you! 20% off with coupon code FitPerx. At HempMeds®, we are proud to offer the finest and most consistent CBD oil in the world. Our CBD from hemp products are uniquely sourced from heirloom hemp strains grown in just a few farms in Europe. This legacy cultivar is rich in phytocannabinoids like CBD, CBDa, CBN, CBG as well as hundreds of compounds to support your endocannabinoid system. HempMeds® launched in 2012 as the first mainstream CBD retailer and distributor in the US. Through our state-of-the-art and eco-friendly proprietary technologies and never-ending drive for innovation, we are leading the industry in producing and distributing the safest, highest quality full-spectrum CBD products to help every member of your family. Today, thousands of customers around the globe have come to trust and rely upon HempMeds® for their daily use CBD hemp oil supplements. *New Patient Special* Full mouth x-rays, exam and cleaning for $99! Regularly $329 *New patients only. Family friendly dental office offering comprehensive general and cosmetic dental services, including oral surgery, implants and Invisalign. We take care of your entire family to make going to the dentist easy and convenient. Come and see how we grow healthy smiles! 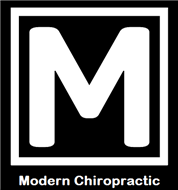 Modern Chiropractic is located in the heart of Hillcrest (University and Normal) and is known for it's "modern" approach. Our office deals with optimal spinal structural which is very different than "traditional" chiropractic offices. Through proper NASA certified technology and precise X-rays, we are able to assess one's condition and create an individualized plan to move forward and get our practice members/community to what they love doing best. Currently, we are the only office in San Diego to offer a unique approach and technique called "Torque Release Technique". This technique is a gentle, precise and research based. Our practice members love our "modern" approach and refer us their family and friends. Your body was designed to be healthy and EXTRA-ordinary. Through proper education on human requirements and precise structural adjustments, there is no reason why you should be living less than OPTIMAL. LASIK surgery 25% off for Fit members. Motwani LASIK Institute is located in UTC La Jolla, and performs LASIK, PRK, EpiLASIK with a range of procedures for even the most complex procedures. Dr. Motwani is recognized as one of the best in his field in San Diego, and has consistently maintained some of the best visual results in San Diego, with rates of 2015 or better in the 6870 range this is better than 2020 vision using the custom ablation system he helped pioneer. Certain cosmetic procedures are also performed such as Botox, VI Peels, Juvederm fillers, and eyelash growth medication. Dr. Motwani is also a member of Fit Athletic and would like the Fit community to receive a special Perx offer. Fit members are eligible for free hearing screenings and 20% off our custom made swim, sleep, and hearing protection plugs. We are a full service audiology clinic offering hearing testing, hearing aid dispensing and programming. We also offer custom made swim plugs, sleep plugs, and a full line of custom hearing protection. 20% discount and free product with Affiliate Annual Membership purchase. Rewards program and promotions offered throughout the year. PrimeMyBody is a health, wellness and lifestyle company that embraces the movement to raise awareness on the importance of living a clean and healthy lifestyle; what you put in and on your body matters. What we accept into our lives, both through our mind and body, has a direct impact on our overall wellness. Our goal is to join our Affiliates and customers on their wellness journey to help educate and empower them about better living, and how they can become an example for others to follow. The PrimeMyBody Ultimate Detox is an incredibly powerful total body detoxification system with specifically detailed protocols designed to detoxify the liver, eliminate harmful substances from the body, and help ensure you're living at optimal health and wellness. Our Nano-Enhanced Hemp Oil utilizes a unique liposomal delivery system, which dramatically improves the bioavailability of the oil. 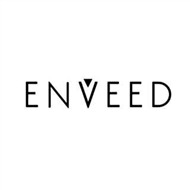 Our product is a Dietary Supplement and contains hemp extract derived from the stalks and stems of the mature industrial hemp plant, which delivers healthful benefits, without having the psychoactive or “high" effect associated with this type of botanical. Our Hemp Oil reduces inflammation on a cellular level, regulates hormones and neurotransmitters, and offers a multitude of other proven health benefits. Welcome to Remedi Plastic Surgery + Med Spa. We specialize in all things aesthetic beauty. From Botox to Natural looking Breast Augmentations, we promise a warm family like environment, paired with a quality experience and treatment. At Remedi, we believe in enhancing your beauty and providing natural results. Plastic Surgeon and Medical Director Dr Rakhesh Guttikonda, as seen in San Diego Magazine's Top Doctor's Issue 2016, completed his internship, fellowship and residency in New York under a world renowned NY Plastic Surgeon. "Dr G" as many patients know him, focuses on an open and comfortable environment for his patients as well as beautiful results. Nurse Patty is our Allergan-Certified Platinum Nurse Injector, and head of Remedi Med Spa. Patty's patient care, and 15+ years in the aesthetics industry, best helps her to educate and train our Med Spa team and provide patients a perfectly paired treatment plan. Join us for a quick touch up or come in and lets plan your life changing procedure with one of our surgery packages; from Spa to Luxury, lets find the best fit for you. Welcome to the Remedi family! The big news is foam rolling is mini... Massage your wrists, forearms, and feet with the professionally endorsed PATENT PENDING RistRoller® — the mini foam roller. Mini foam rolling is an offshoot of traditional foam rolling, which is widely practiced in athletic, rehabilitative, and home settings to improve range of motion, decrease soreness, and relieve pain. Visit https://ristroller.com for more info and to watch demos. We specialize in aluminum-free deodorants, natural soaps, organic lotions, bath salts and body scrubs. All of our products are handcrafted in San Diego, California using natural, organic, vegan ingredients. Established in 2008, our family-owned business now ships orders all across the United States. You only get one body. Be good to your body. Dr. Richard Leung is an internationally recognized ophthalmologist specializing in various eye surgeries including LASIK and laser cataract surgery. He has been performing laser vision correction surgeries for 25 years at San Diego Eye & Laser Center and has performed over 30,000 eye surgeries. Dr. Leung’s custom LASIK procedure uses Waveprint laser technology to give you the most accurate vision correction possible. You’ll be amazed at well you can see after a pain free, ten minute surgery with minimal downtime. Visit www.eyeandlasercenter.com or call 858-278-9900 for a FREE LASIK consultation. In addition to the 50% discount on Intralase Standard LASIK exclusively offered to members of FIT, Dr. Leung also offers zero percent interest financing and other attractive credit options. * Call San Diego Eye & Laser Center today and make this your best summer yet! San Diego Eye & Laser Center also has two optometrists on staff as well as an optical shop to serve all of your eye needs. *Must be a qualified candidate for Intralase Standard LASIK with myopia. Are you feeling tired, can't keep up with your daily workouts or routine? Are you feeling emotional for no apparent reason? When nothing seems to work and progress seems unclear and unobtainable, it is likely you feel scared, overwhelmed, and maybe emotionally drained. When you feel stressed and overwhelmed your focus becomes unclear making it hard to see the solution. 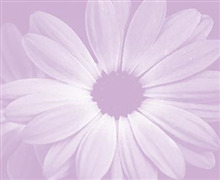 I'm Shelley Davidescu, licensed Marriage and Family Therapist. I've helped so many people who struggle with anxiety, depression and relationship issues and I look forward to seeing how I can help support you too. With me by your side, you can count on mindful conversations as you and I uncover your natural strengths and resiliency that lead you to the relationships and life you truly want. Call today for your complimentary 20 minute clarity call. 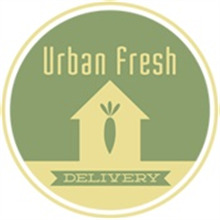 Urban Fresh Delivery brings certified-organic, high quality produce from local farms directly to your door! Sign up for weekly or every other week deliveries and enjoy shopping our webstore full of local products. We offer local organic pastured eggs, fresh baked bread, jams, flowers, and more. Our newsletters let you know what produce will be delivered and includes weekly recipe ideas for easy meal planning! Sign up today and receive your first box as early as next week! 35% off first visit for new patients. Reg. price is $115 for first session, which includes-consultation, history, exam,and adjustment. 20% off ongoing treatments. After many years honing her skills and enjoying positions at various wellness centers including the esteemed Golden Door in San Marcos, Ivone Alem decided to lay down roots in Solana Beach, taking ownership of the Vitality Massage and Wellness Center which has served North County San Diego clients for over 20 years. 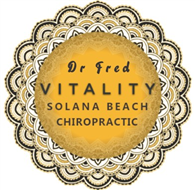 Vitality Massage and Wellness, offers massage, chiropractic, acupuncture, vitamin therapy, decompression, Hi-power laser, rapid release, with a diverse variety of healers. Membership Premium Starter Kit with Dew Drop Defuser value of $340 for $160 plus tax and shipping After becoming a member you will receive 24% off the retail price and a free defuser with the kit. For centuries essential oils have been used by people from all walks of life. From Priests to physicians to moms, with one goal in mind, to enhance health and well-being. Essential oils are concentrated, natural, aromatic liquids that are extracted from shrubs, flowers, trees, roots, bushes and seeds. We have incredible products for muscle discomfort, a quick cool down while working out and oils to use for day to day stressors in your life. I believe in these products and use them everyday. The best part is is you get a free coach on how to use them.